As Barry Allen makes a fateful decision in the wake of Shazam's death, Harley Quinn has a question of her own to ponder - what do I do with myself next? A visit from an old friend and lover may give her some guidance and a new direction for herself and The Harley Horde. 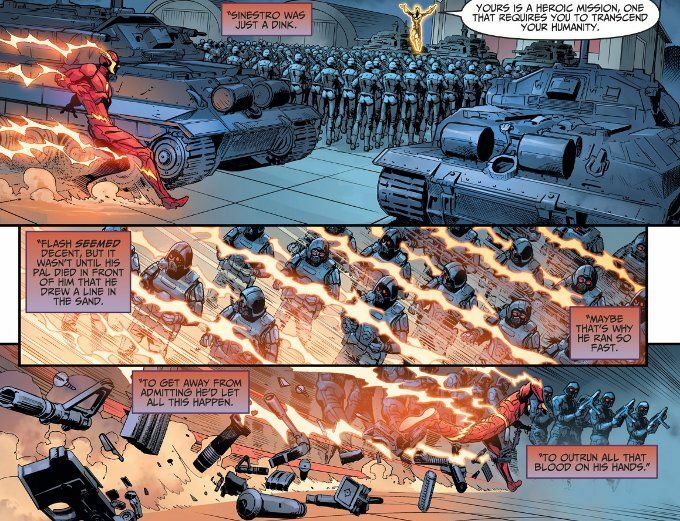 This is a particularly strong issue of Injustice: Ground Zero. Seeing the events of the game from Harley's perspective, as they are presented in this issue, makes them feel brand new. Harley's insights into Barry Allen's character show her intelligence and insight - a welcome change of pace given how she's usually written as a bimbo. 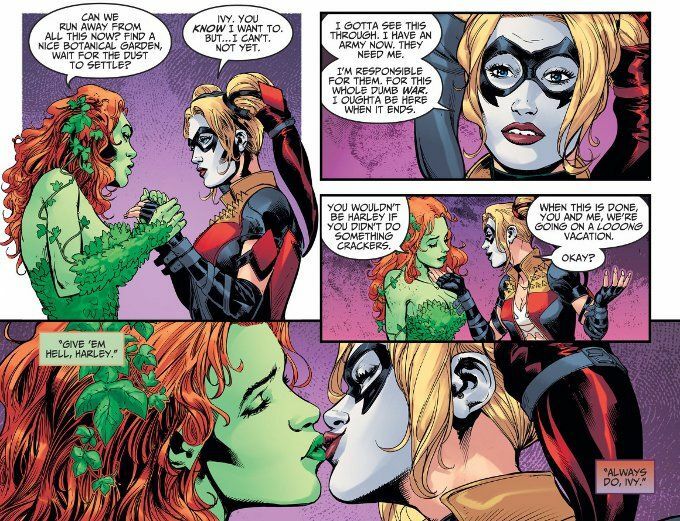 Then again, showing Harley's brains has been par for the course in Christopher Sebela's excellent scripts for this series and it's gratifying to see him also touch upon the Harley/Ivy relationship here, however briefly. Marco Santucci proves a good choice for handling the art for this issue. Santucci's detail-drive style excels in bringing out the best of the intimate scenes that take up most of this chapter. The vibrant colors of J. Nanjan provide the perfect finishes to Santucci's pencils and inks.